My sister-in-law went on a dream honeymoon to Tahiti last October. Can you imagine? I’ve always wanted to go there myself and stay in one of those cool bungalows built over the crystal blue water. 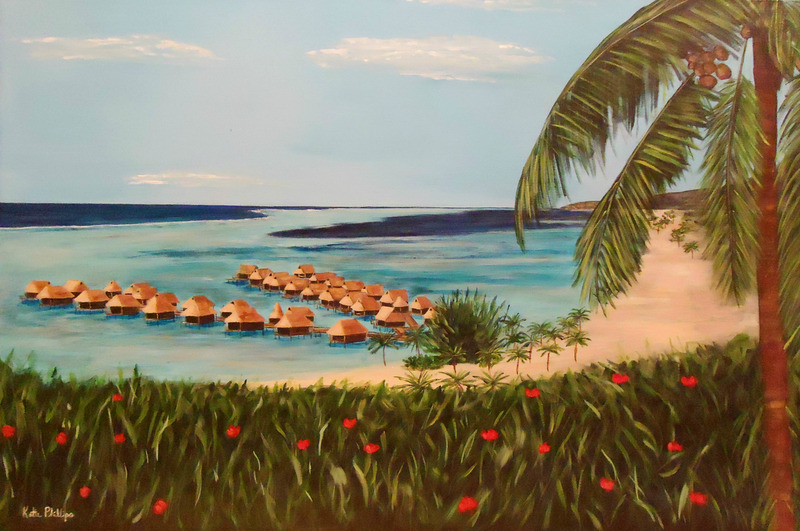 So I was super excited when she asked me to create a painting using one of her vacation photos of the Four Seasons resort on Bora Bora. A painting is a pretty cool souvenir to have from your vacation. But what’s even better is that we all got a cute little memento when my nephew arrived nine months later!! One of her friends joked that instead of naming the painting “Tahiti Honeymoon” it should be called “Two Arrive, Three Return”.